Victoria is bimonthly women’s lifestyle magazine that is designed to nourish the feminine soul. Each issue is dedicated to living beautifully offering information in entertainment, cooking, and decorating and even in artistic pursuits. This was created for all of those who love the timeless appeal of romance, fashion, heritage, beautiful linen, charming homes, lovely gardens and unique decorative touches. Each issue features decorating and entertaining ideas, recipes, travel stories, essays from inspiring women, and much more. Showcasing women’s heritage and looks towards a time when elegance and graciousness were central to every part of life. With a distinct personality, this magazine is created for all of those who love the feminist passion and engages with the enterprise spirit. 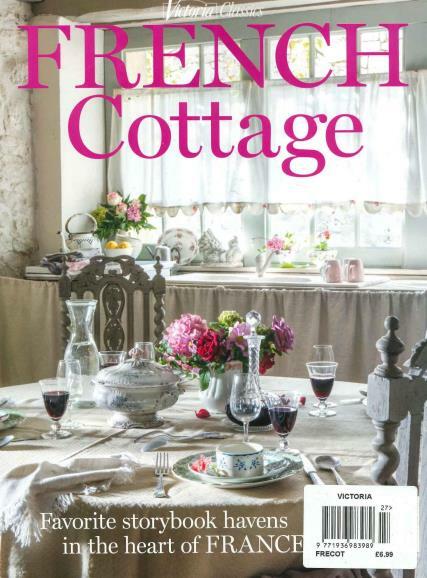 If you are seeking elegant inspiration for your home or homes, then you should buy Victoria Magazine! Very Beautiful Romantic glossy magazine. Full of inspiration for the Garden and House. This magazine exemplifies gracious living like no other. Excellent magazine. Very readable with superb layouts. I first came across this magazine whilst on holiday in the USA many many years ago, I love all things that are elegant and genteel, so from opening the first page I was transported to another time where chintz and crystal glasses, posies of flowers on a bedside table, muted colours and feminine dresses reminded me of an era when we appreciated beautiful things and lovingly cared for them, where we took a pride in our homes, and our families, unlike todays society of throwaway clothes, dis-respect for each other and authority, and no pride in anything. Upon reading this beautiful magazine I returned home to England and immediately took out a subscription where I had years of delight at looking at the beautiful pictures carrying out its ideas and following the gorgeous recipes, then to my dismay one day my newsagent told me that the magazine was no longer available. No magazine has ever come close to Victoria. To my delight a few months ago a friend and colleague came to visit and she had a copy in her bag, I could'nt believe it, it was in print again. Thank you, thank you, thank you, for bringing this beautiful magazine to life again, long may it continue!